Intentionally shot this way! Filmed with a Super-8 movie camera almost 25 years ago, but left unfinished until I had the film transferred to HD digital format last year. I carefully went through the footage and created a few dozen loops which were then edited together along with annoying sound effects. Originally filmed in San Francisco’s North Beach district at night (lots of different lights), and if you’ve ever been there, you will figure out the title CONDOR / ROARING20s. 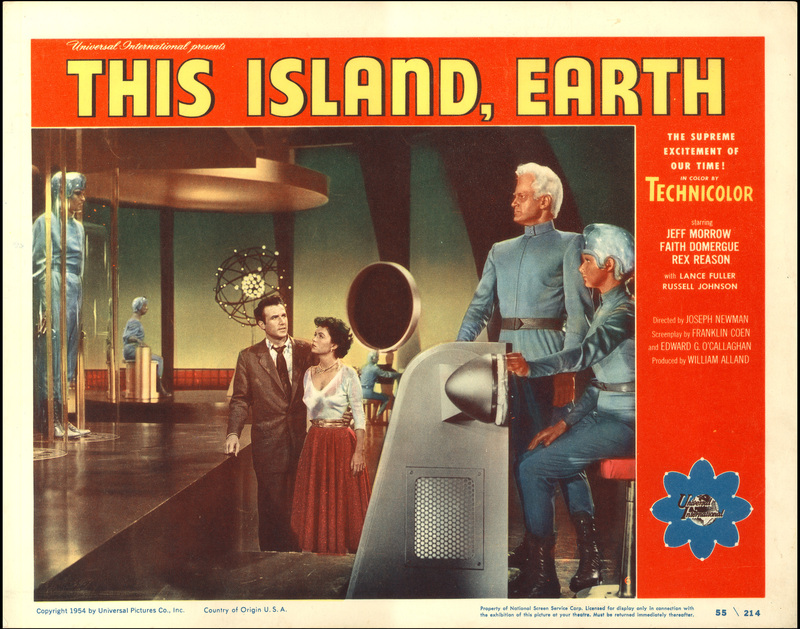 No matter, the film today remains a classic of 1950s Science Fiction with plenty of weirdness. 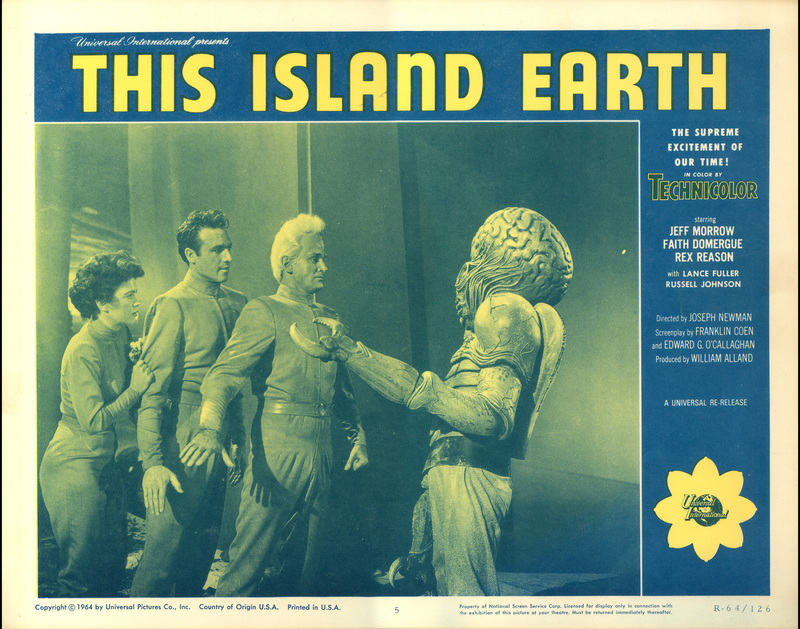 A big budget affair from Universal Studios with lavish special effects all in beautiful Technicolor, and probably overshadowed by MGM’s production Forbidden Planet which came along about 9 months later. Earths best scientists are (unknowingly) recruited by (they later find out) aliens from the planet Metaluna, which is dying and (they later find out) under attack from the Zagons (never explained). The scientists, at first, don’t notice that the Metalunans look sort of like earthlings, except they have rather high and bumpy foreheads with unusual gray hair. Anyhow, 2 of the scientists are kidnapped by the Metalunan named Exeter, and taken to Metaluna, where they witness “The Supreme Excitement of Our Time” (according to the films advertising campaign). Turns out, the Metalunans intend to bail out on Metaluna, and relocate to Earth and subjugate our free will. Thankfully, however, the plan doesn’t come to fruition as Exeter bravely saves the earth scientists (just before the Zagons destroy Metaluna) and returns them to Earth (which is none the wiser). Kinda makes you wonder about our place in the Universe: This Island, (pause) Earth. I think I prefer the comma!